This fun dessert uses a few ready-made ingredients for a quick and delicious results: a crunchy wonton shell that gives way to a molten chocolate-hazelnut filling. Look for wonton wrappers in the produce section of the supermarket. Set out a bowl of water and a pastry brush. If necessary, trim the wonton wrappers into squares. Lay the wrappers on a work surface, orienting them so they look diamond shaped instead of square. Working quickly, put 1 heaping tsp. of chilled Nutella in the lower half of each diamond. Brush the edges of one wonton with a little water and fold the top point of the diamond down to meet the bottom, forming a triangle. 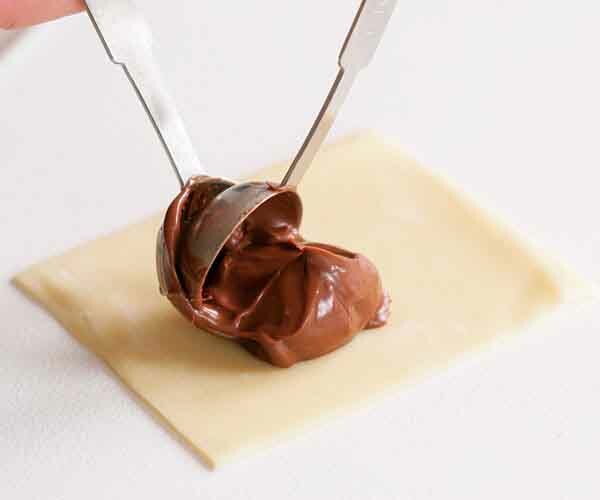 Gently press around the filling to force out any air and pinch the edges to seal. Repeat with the remaining wontons. Set the wontons on a baking sheet, cover, and keep chilled. 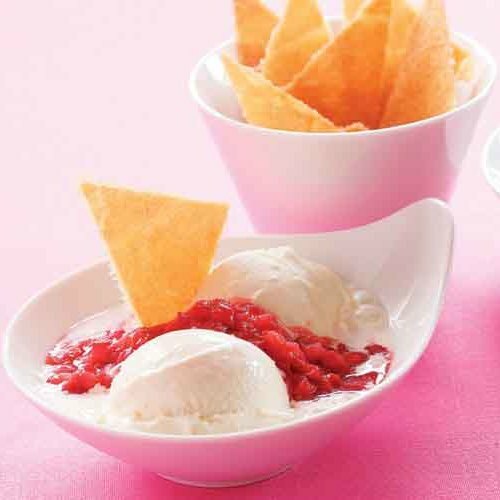 In a small bowl, combine the heavy cream with the orange juice concentrate, Grand Marnier, and vanilla. Refrigerate the sauce until ready to serve. Heat the oil to 365°F in a heavy 3-qt. saucepan over medium heat. Set a baking sheet lined with a thick layer of paper towels next to the pot. Slip 6 to 8 wontons into the oil and fry, turning occasionally, until golden brown, 2 to 3 minutes. Scoop them out with a slotted spoon and drain on the paper towels while you fry the rest. 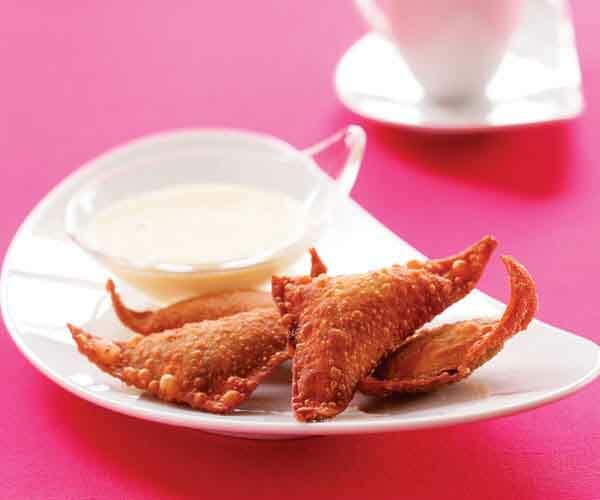 Arrange 4 wontons on individual serving plates and sprinkle with confectioners’ sugar. Serve with small individual dishes (I like tea bowls or sake cups) filled with the orange sauce for dipping. This recipe has an amazing ROI - return on investment. Very very easy, and intensely satisfying. We did a bunch of these with friends and family. A definite keeper. Yum. I have made these several times for guests and they always love them. They are simple to make. The sauce is so versatile too. I serve it alongside with strawberries and other fruits as well.